My name is Kiri. 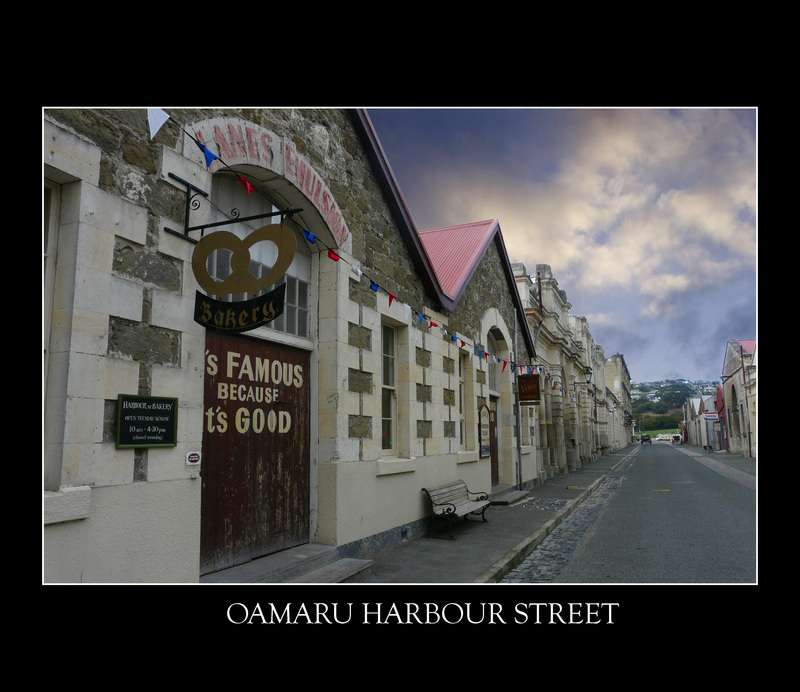 I was born in 1974 and raised in Oamaru, New Zealand, a town famous for its new potatoes, blue penguins and majestic whitestone buildings. I was named after NZ’s most famous Opera singer, Dame Kiri Te Kanawa, and while I dabbled in a bit of country and western singing in the earlier years of my life it would be safe to say my talents perhaps lie more with writing the words as opposed to actually singing them. My brazen attempts at yodeling at the ripe age of ten sounded more like the screams of a foreign tourist being thrown from the Kawarau Bridge in Queenstown….obviously attached to a bungy cord. In 1993 I dropped out of University (in spectacular fashion I might add!) and had a string of jobs including farm hand, housemaid, radio announcer, barmaid, nightclub dancer, receptionist and office assistant, before finally deciding to return to University to have another bash in 1999. This time around I did rather well, and in 2002 I graduated from the University of Otago as a Secondary Teacher with a Bachelor of Arts in English. Who would have thought that someone who had hated school so much would end up going to school every day – willingly no less – until she retired? By this time I was 28 years old and the itch to travel had been relentless for the last year. I had two years left in which I could work legally in the UK so that was where I headed. And since the experiences were so new and unusual to me, my writing started to take off. I had so much to talk about! So it was in the North East of England that I discovered my four big passions: my husband, travelling, writing and making people laugh. I returned to New Zealand for two years, lived in Perth in Western Australia for two years, and then returned to New Zealand for a further three years, where I have just this year resigned from my job as Head of English at a local Catholic school. My husband and I are now about to begin our next big journey…however, unlike the ones before we are not quite sure where this one will end up! Throughout the years my close friends and family have told me how much they love reading my emails when I am travelling. For some it is the highlight of their working week as they cackle and snort from behind their 13” flat screens, often sharing my stories with their colleagues who have edged closer in curiosity at the farmyard noises coming from cubicle twelve. They too seem to enjoy my tales. It is due to the encouragement of my friends and family that I have decided to try this blogging business and see how far it takes me. Of course to spend the rest of my life travelling the world and getting paid to entertain readers with humorous accounts of my experiences is wishful thinking, and a dream that many people have I’m sure. But if one doesn’t give it a go, how will one ever know? So as I enter the tenth year of my English teaching career I find myself unemployed and the world my proverbial oyster. Before I leave you, however, there is one other character I should introduce you to. His name is Owlface (Owly). While we were living in Perth in 2007 he came to us free via Borders bookshop with our first edition copy of the final Harry Potter book and has since become our travelling mascot, often appearing randomly in our travel photos. Look closely at Roger sitting on the bronze bear in Frankfurt (A Kiwi, a Brit and a wedding in Spain page)– can you see him? Owly has been all around the world: at the Australian Open in Melbourne in 2008 he left chocolate raisin shaped owl droppings on the top bunk at our hostel, in Paris in 2010 he was tucked neatly into bed by the room attendants at our hotel (I bet that provided much hilarity! 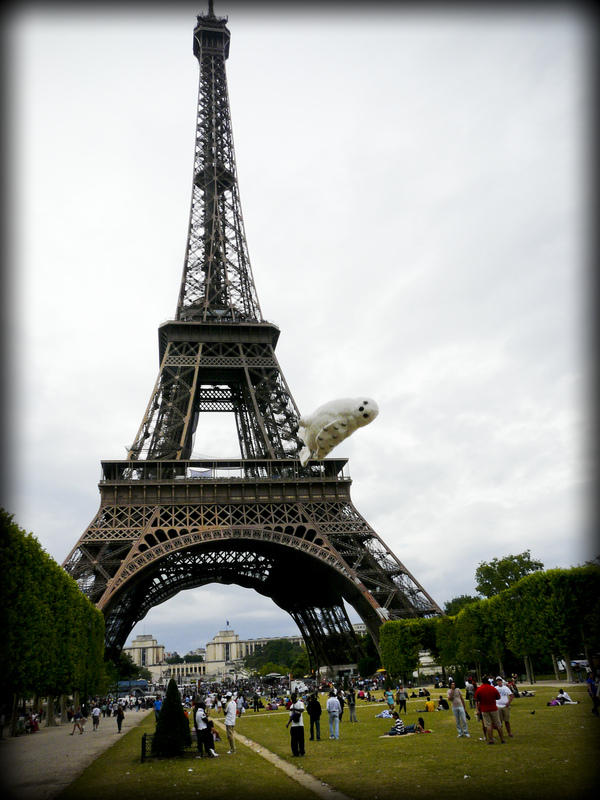 ), and we also captured him climbing the Eiffel Tower in 2010 – a well executed throw on my part don’t you think?! He provides much entertainment for passing tourists and has been badgering us lately to have his own Facebook page! Keep an eye out for him – no doubt he will sneak into one or two photographs! Which brings me to my last point. All the photographs posted on this blog are courtesy of my husband Roger, whom I happen to think has the makings of a very talented photographer. He certainly has a better eye than me! Hope your having as much fun in Guilford Grammar as you did in Prendiville.